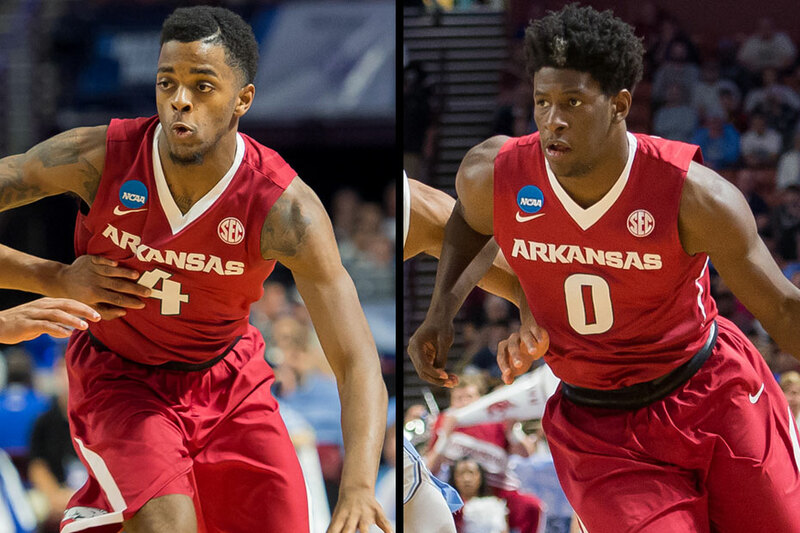 Jaylen Barford and Daryl Macon are headed to the NBA Summer League this summer. Barford is set to join the Minnesota Timberwolves and Macon will suit up with the Miami Heat. Barford led the Razorbacks this past season averaging 17.9 points per game and was third in the Southeastern Conference, helping the Hogs back to the NCAA Tournament for the third time in the last four years. The Jackson, Tenn. native earned first-team All-SEC honors for his senior season. Barford turned into a sharpshooter from long range in his final year, hitting three-plus three-pointers 15 times last season after doing so just twice last year. He scored a career-high 28 points in two different games, both coming against SEC foes Tennessee and Florida. Macon was tabbed a second-team All-SEC member after averaging 16.8 points per game and a team-best 3.9 assists per game. Macon had 17 games of 20-plus points in his career and joined Corliss Williamson as the only Razorbacks to record seven straight 20-point games since Arkansas joined the SEC. He and Barford became the sixth and seventh Razorbacks to score 1,000 points in just two seasons at Arkansas.